Sure, you’ve hiked plenty of mountains. But when’s the last time you got to walk over and under the same mountain on the same day? Raccoon Mountain, just 10 minutes from downtown Chattanooga, offers an over-under experience like no other. 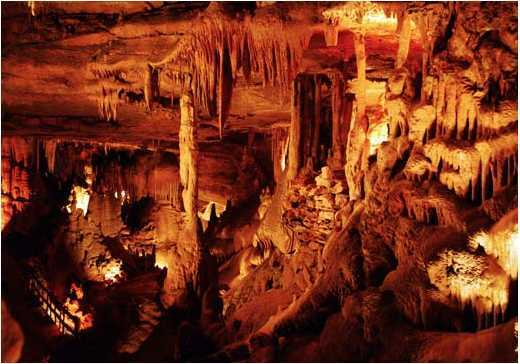 You’ll want to start your journey at Raccoon Mountain Caverns, rated as one of the top 10 caves in the country. If you’re the camping type, there’s a popular campground and RV park located onsite. Inside the cave is an underground labyrinth of stalactites,stalagmites, soda straws, flow stone, natural bridges and more. It takes 100 years for these formations to grow just one cubic inch, formed b y magnesium-rich water slowly trickling from the cave ceiling. Should this “growth” drip on you, consider yourself fortunate. It’s called a “cave kiss” and counts for seven years good luck. That said, you’ll want to wear shoes and clothes that can geta little dirty. If you’re looking for a quick spin around the cave, opt for the 45-minute walking tour. 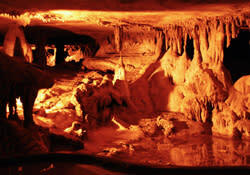 It takes you through the impressive Crystal Palace Room – the largest cave formation chamber in the Southeast – then winds through a one-quarter mile trail. 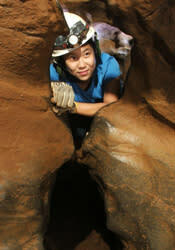 If you’re feeling adventurous, sign up for a wild cave expedition, which outfits you with spelunking gear and a guide. Tours range from one to six hours, with the option to sleep in the cave if you sign up for a tour lasting longer than four hours. When you’re ready for daylight, head for higher ground. The top of Raccoon Mountain is just a 15-minute drive and offers myriad biking and hiking trails surrounding TVA’s vast reservoir. Picturesque views include the Tennessee River, distant mountains and of course, the reservoir – a 12-billion-gallon manmade lake. TVA uses the lake to operate its pumped storage facility, located almost 1,000 feet below. 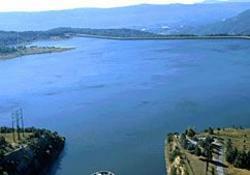 During periods of low demand, the upper reservoir is filled with water from the lower one, Nickajack Lake. When power is needed, water is drained from the upper reservoir into a large concrete pipe that leads to four large turbines, which help generate electricity for all of the Tennessee Valley. They once offered tours of the pumped-storage facility – the only one in the TVA system – but closed it to the public several years ago because of safety concerns. Now you can watch a virtual tour and learn more about the entire TVA system with interactive displays at TVA’s Visitor Center. Explore the many trails off the Visitors Center or head to Laurel Point by car, which offers a baseball field, volleyball court, picnic tables and more trails. (Turn right on the one-way road right outside the Visitors Center). East Overlook is another scenic spot, offering panoramic views of downtown Chattanooga and more trails. For directions to the visitors center, mountain biking trails and other locations, click here. Pets are allowed on a leash, and trails range from beginner to advanced. Detailed trail maps, also available at the Visitor’s Center, clearly mark rider level and mileage.